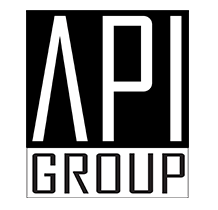 API GROUP LTD is the main company of API GROUP brand. Within the group brand, there are independent Ltd and anonym companies in the fields of Agriculture, Real Estate, Construction, Renewable Energy, Tourism and Media in Turkey, Bulgaria and United Kingdom. API (Advantage Properties International) started to trade as an International Real Estate Consultant in 2004 in London. That was followed by real estate operations and agricultural land and management investments in Turkey. Since then API had a continuous growth and today API Group owns Agriculture Investment and Management company, Construction Company, several Villa Holiday Rental Companies, an A Class Travel Agency, Real Estate Investment Firm, Media Company, Hospitality and Entertainment Brands and Renewable Energy Operations. Our main operations are based in Turkey, Bulgaria and UK and we have business associates in different parts of the world. The main strategy of our company is to uphold high quality customer satisfaction in all our products and services. We always respect to environment in all our business practices. We reflect this mentality into our Agriculture, Real estate and all our projects and divisions.